Chicago’s Best Baker 2018 has been found and her name is Carolyn Berard! Thank you to all of the bakers who competed and those who came out to cheer the bakers on! Chicago’s Best Bread Baker 2018 is Benjamin Holland! Chicago’s Best Cake Baker 2018 is Madeline Rocker! Chicago’s Best Cookie Baker 2018 is Lori Szudarek! Chicago’s Best International Baker 2018 is Luke Lusk! Chicago’s Best Pastry Baker 2018 is Audrey O’Shannah! Chicago’s Best Pie Baker 2018 is Maria Del Favaro! Chicago’s Best Show Stopper Baker 2018 is Meredith Chiarelli! Registration has ended and the competitors have been announced! 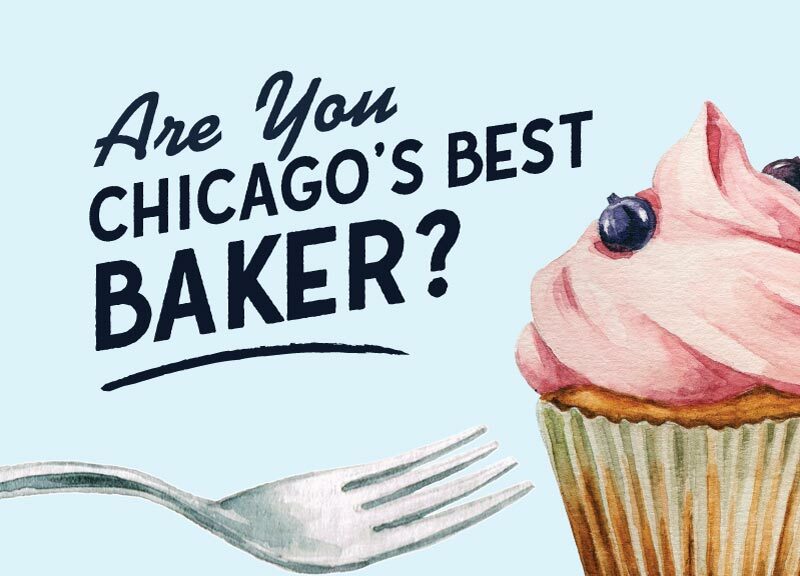 The Chicago's Best Baker Contest was launched as a way to gather people from all over the city to celebrate the diverse and exacting bakers who call Chicago their home. Since there is no county fair for Cook County, amateur bakers in the city haven't had a chance to compete with and learn from each other on a local stage ... until now. Come see why we think Chicago's bakers are the best!